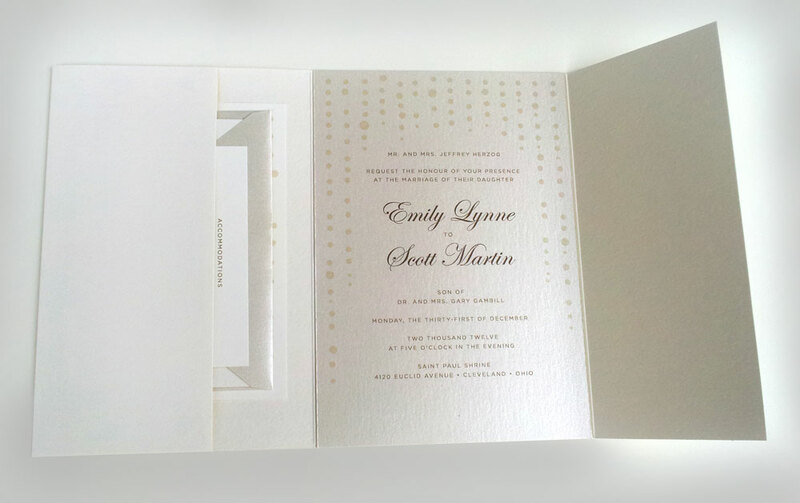 Invitations for a very classy New Year's wedding. It's hard to tell by my horrible photos, but these invites use beautiful textured creams and shimmer papers. 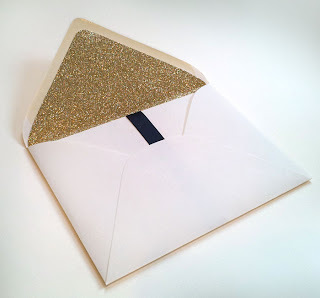 I also lined all 165 of the envelopes in glittery gold paper, so when you open it up...POW! 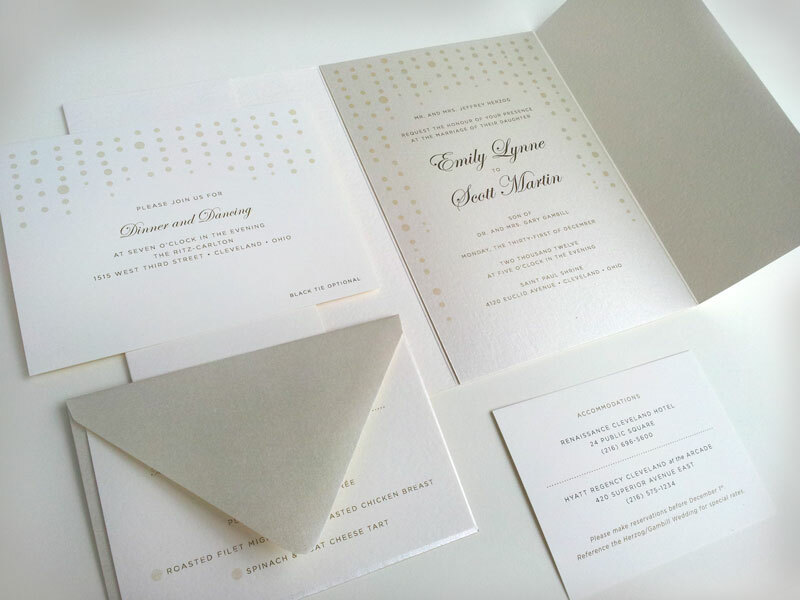 It's a party! Once you break the black satin ribbon seal, the invite folds open and a side flap contains the RSVP Card and envelope, Reception Invitation and Accommodations Card. I really like these. You did a great job!